Home / acoustic / asia / bangkok / boyce avenue / live / malaymail / music / news / singapore / Boyce Avenue adds Singapore, Bangkok and more venues to Asia tour! 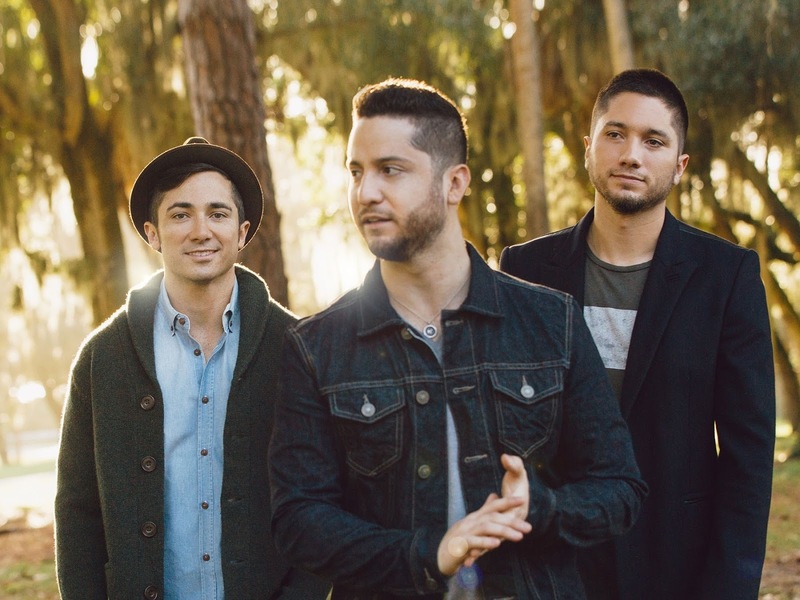 Boyce Avenue adds Singapore, Bangkok and more venues to Asia tour! If you were excited to learn that Boyce Avenue will be performing in Manila, you’ll be even more pumped with the news that the band has added more venues to their upcoming tour in Asia! “We are excited to announce that we are also bringing our concert with Moira Dela Torre to CEBU on June 2 and DAVAO on June 3. Thanks for all your requests and we can’t wait to see you all,” the band posted on their official Facebook page recently. Hooray for Filipino fans because this means the band will now be making three stops – Manila, Cebu, and Davao – in the Philippines this June. That is not all, as the trio have also decided to add Bangkok and Singapore to their tour! Their show in Bangkok, Thailand will be on 5 June 2018 at BCC Hall Central Plaza. Accompanying them will be Thai pop band, Room 39, who will be rocking the stage together with the American band. Tickets are available from 7 April, 10am onwards via Thai Ticket Major and priced at THB 1800, THB 2300 and THB 2800. 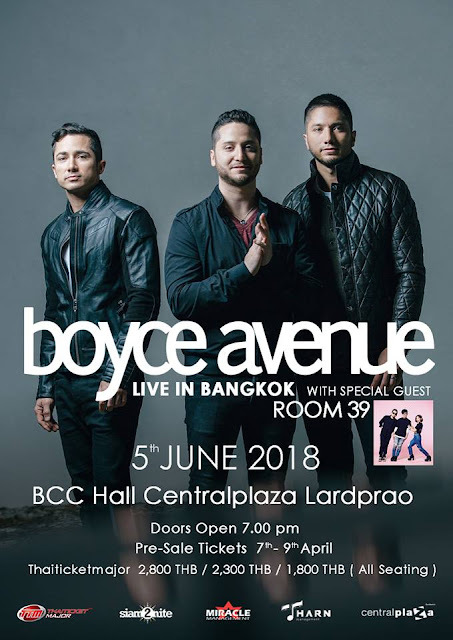 Don’t miss Boyce Avenue’s concert in Bangkok! 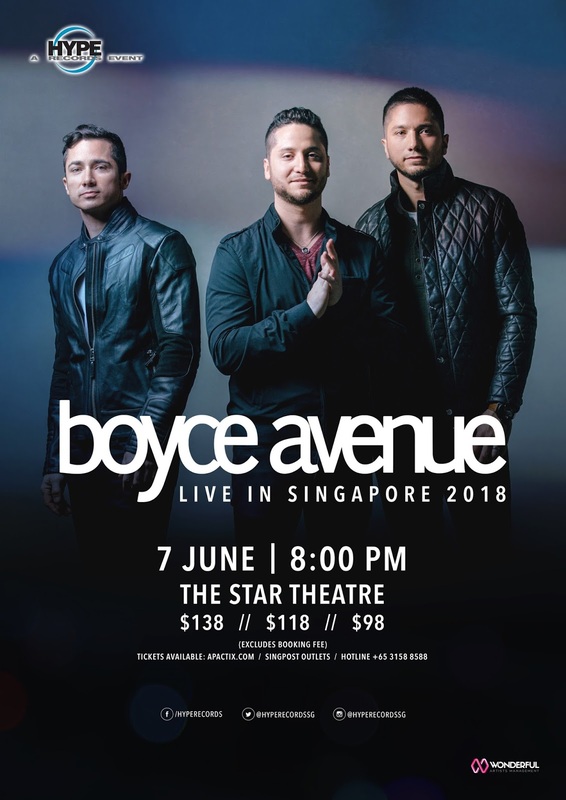 Making their second visit to Singapore, Boyce Avenue will be performing in the country once again on 7 June 2018 at The Star Theatre. Tickets are available online via ApacTix, booking hotline: +65 3158 858 and SingPost outlets from 10 April at these prices: SGD98, SGD118, SGD138. Boyce Avenue will be rocking out with Singaporean fans once again. Boyce Avenue’s last studio album, “Road Less Travelled”, was released in 2016 and earned the band, which started out – and still is one of the major acts – on YouTube, the Unsigned Music Awards that same year. Check out one of the songs off their album, “Be Somebody”.